Hi Growing Up Geeky readers! My name is Lindsay and I blog over at You Are The Roots! It's such an honor to be posting here today -- Melissa's blog is one of my favorites! 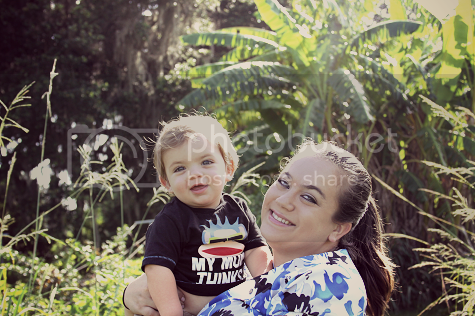 I'm a first-time mom to a 14-month old little boy, Ethan, living down in southeast Florida. As all mothers of toddlers know, every day is an adventure -- so much so that I started to find that Ethan's lunches weren't nearly as spectacular as he deserved. I'm not exactly skilled in the kitchen but I found that between a nutritious breakfast and a healthy-but-delicious dinner was a pretty dull lunch. I made a promise to myself to step it up a notch and offer fun and nutritious lunches that were still fun for a toddler and realized that the answer to all of my problems rested in the hands of a muffin tin. I thought I'd share some of my favorite toddler-friendly recipes with you all today! 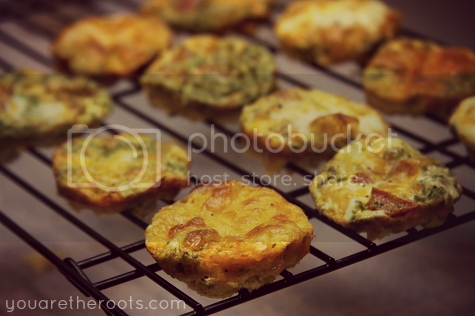 These tiny little veggie quiches are as healthy as they are cute. I love that these freeze well and store well, making them perfect to always have on hand when you find yourself on the go. For these, choose any three vegetables you want (or happen to have on hand). I used some of Ethan's favorites: kale, tomato and carrot. In addition to your veggies of choice, all you need is milk (1c), a few shakes of black pepper, dried mustard (1 tsp. ), 4 eggs and your favorite cheese (3/4c). I use my trusty Baby Bullet to chop the veggies up oh so small and then pile them into a greased muffin tin. From there, mix your eggs, cheese, milk, pepper and mustard together until combined and pour over the veggies. Stick in a preheated oven at 375 degrees and bake for 20-25 minutes until bubbly! Perfectly portioned toddler lunch (or breakfast) in minutes! I love these little guys because you can pack a lot of veggies into them (see?!) and the little ones still look at them as a sweet treat and midday snack. 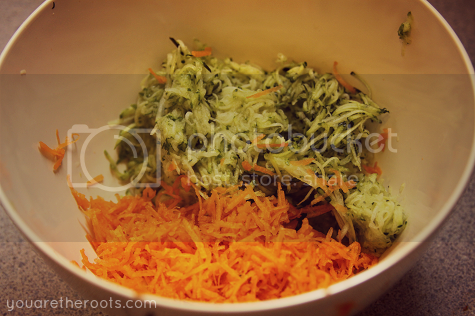 I use a hand grater to shred a whole zucchini and a whole (peeled) carrot. In addition to the veggies, you also need canola oil (1/4c), brown sugar (1/2c), 1 egg, applesauce (3/4c), all-purpose flour (1c), whole-wheat flour (3/4c), cinnamon (1 tsp.) and nutmeg (1/2 tsp.). You simply whisk together the oil and sugar, then add the egg, applesauce and your vegetables. In another bowl, combine all of your flours, cinnamon and nutmeg. Fold your dry ingredients into the wet ingredients and combine, but be careful to not stir too much! 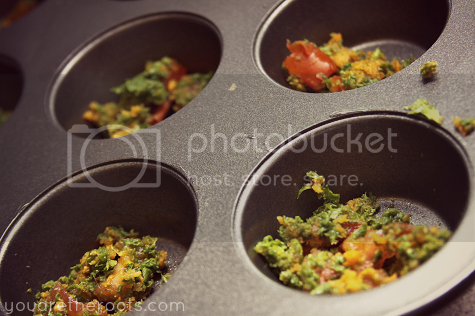 Pour the batter into muffin cups and bake for 20 minutes in a (preheated) 400 degree oven. The last toddler-recipe I wanted to share today is definitely one of Ethan's favorites. Instead of regular macaroni, I used quinoa to make these delicious, cheesy spinach muffins! I again use my trusty Baby Bullet to finely chop up fresh spinach leaves. I use organic baby spinach leaves, but you can also used cooked or frozen spinach. You also need cooked quinoa (3c cooked), your favorite shredded cheese (I used a mild cheddar), whole-wheat breadcrumbs (1/4c) and sour cream or milk (I used sour cream). Once your quinoa is cooked and still warm, remove from heat and throw in a handful of your shredded cheese. Stir until melted and smooth. Add 1 teaspoon of milk or sour cream and continue to stir until combined. 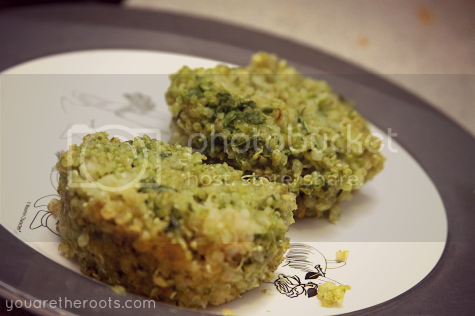 Add your breadcrumbs to the quinoa mixture and then fold in your spinach. 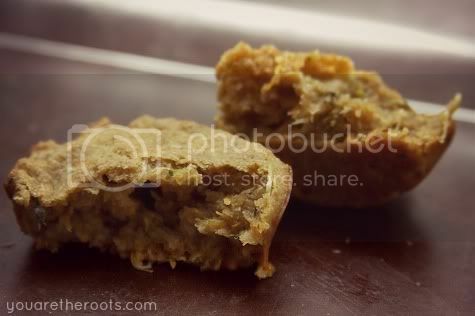 Pour into greased muffin cups and bake in a (preheated) oven at 400 degrees for 15 minutes. 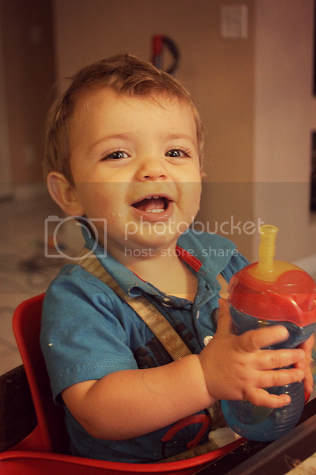 Happy lunches to you and your toddler and thanks for letting me blog over here today! Thanks, Lindsay! I think that Carina will LOVE the veggie quiches.